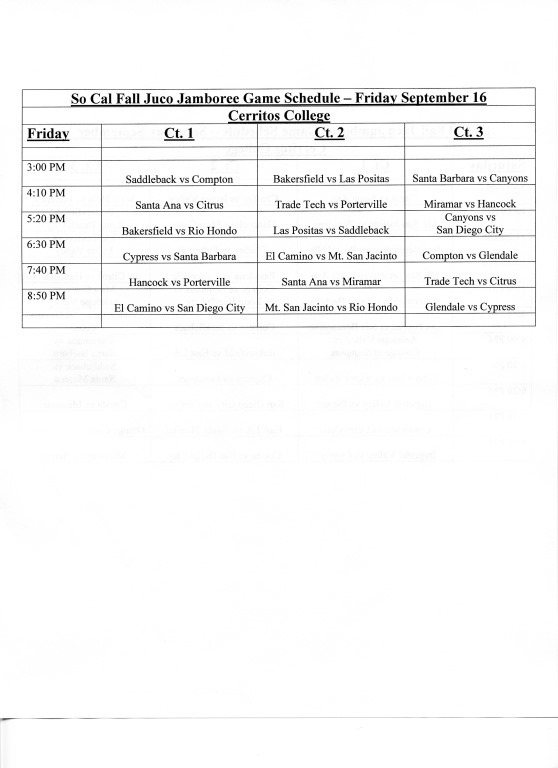 The SoCal Fall JUCO Jamboree will take place at Cerritos College on Friday, Saturday, and Sunday, September 16, 17, 18, 2016. 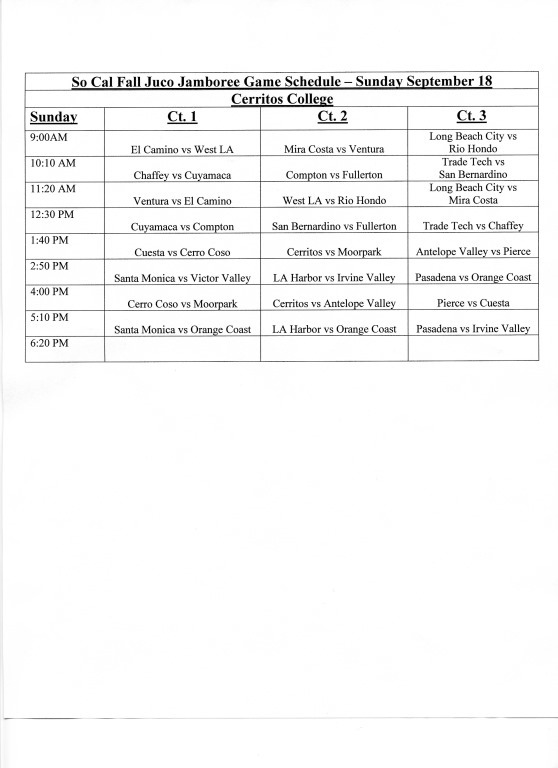 I noticed that a number of teams are only playing two games; East LA and Ventura. 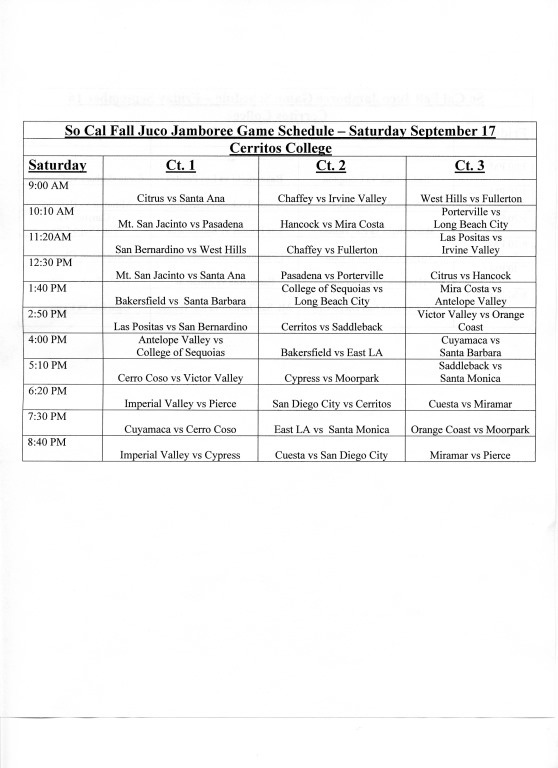 Other teams that skipped the July tournament altogether will be playing at this Jamboree; Saddleback, Bakersfield, San Diego City, Mt San Jacinto, Chaffey, Fullerton, San Bernardino, East LA, Ventura, Moorpark, Cuesta. Hopefully, there will be a good turn out of University coaches scouting the JUCO players.